I hope you have all had a wonderful week. There were so many beautiful entries last week, I hope you had a chance to spend some time visiting a few of them. There were lots of new faces last week too, which is always nice to see. 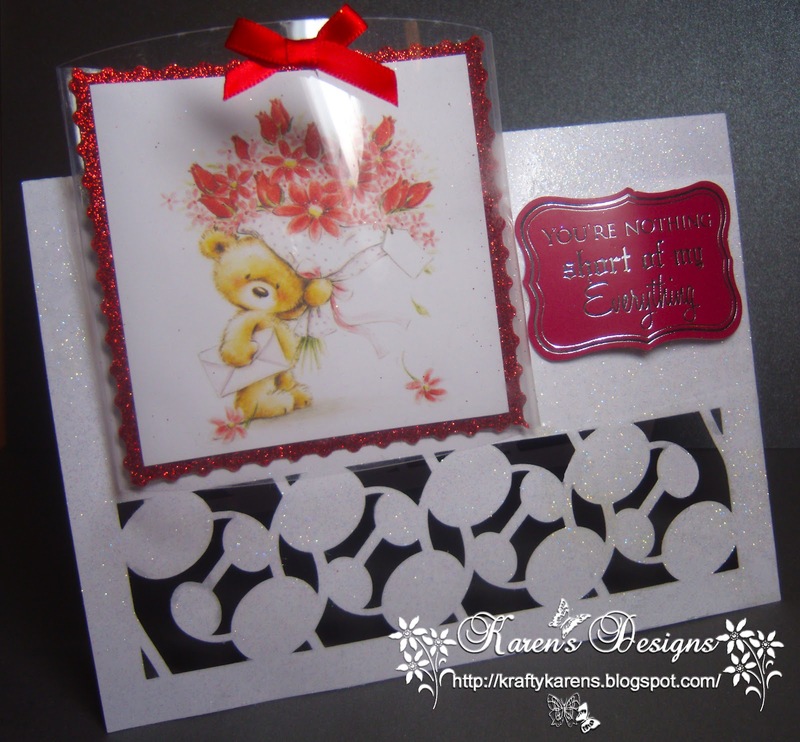 Cely, your card is just wonderful!! I'm a big fan of KK images and I do love this one inparticular. Your coloring is just fabulous! Thank you for sharing with us at Make It Monday . I hope you all hop on over and say hi to Cely and let her know you saw her here. Thank you Faye for getting in to the spirit of MIM and sharing some blog love around. Please contact me so that I can organise your prize. Make It Monday #76 is now open, please link up your entry at the end of this post. Guylou has been doodling since childhood, but it is only recently that she started Guylou’s Inimitability after lots of encouragement from her circle of friends. Guylou’s Inimitability digistamps are cute, fun and of high quality. Each illustration is hand drawn by Guylou and can be used for a variety of projects. Guylou invites you to visit her store and discover her unique digistamps. The fabulously talented ladies of the Design Team and come up with some stunning cards using images from our wonderful sponser this week to get the party started. Thank you ladies for all the inspiration and for hosting this awesome party! Lovely DT creations. I especially like the cards with the hammock. It's so different. Great male card! Thank you for another lovely linky party. 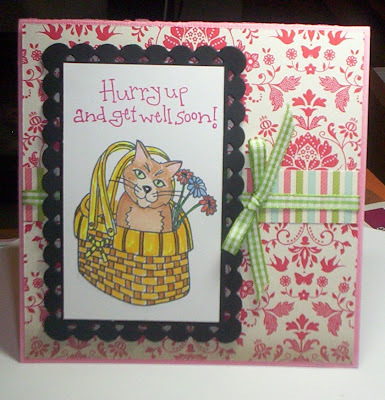 Lovely cards from the Design Team, and lovely card of the week..Love Kenny K.. Awesome creations by the DT. 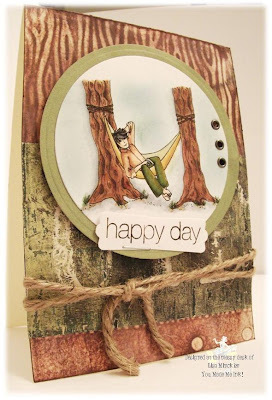 I love that "Happy Day" card - so cool. I am so happy to sponsor this week challenge. The DT did such a great job with my images! All the cards are gorgeous!!! Thanks for showcasing them so well. I am so happy as I just discovered your blog. I look forward to participating and meeting some new friends. Thank you for hosting and Happy Valentine's Day to you! Lovely DT samples - just found your challenge blog!!! WOW, so MANY wonderful projects by everyone! Thanks allowing me to share! 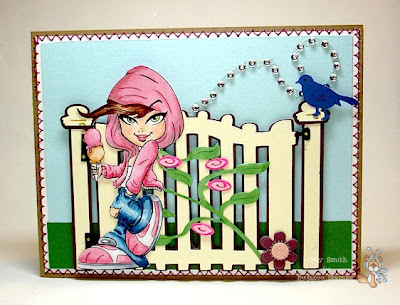 I hope you see this....thank you for choosing my fun Kenny K card for the "Featured Entry". I'm honored! Fun to work with a great image like Kenny K and a wonderful photo inspiration from Bugaboo. Thank DT for all the inspiration .